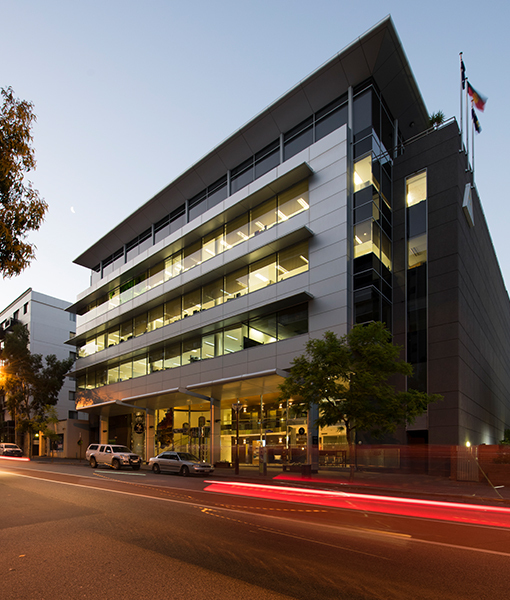 Located in East Perth, Western Australia, the new Headquarters for the Chamber of Commerce and Industry sits in a prominent position on Hay Street. 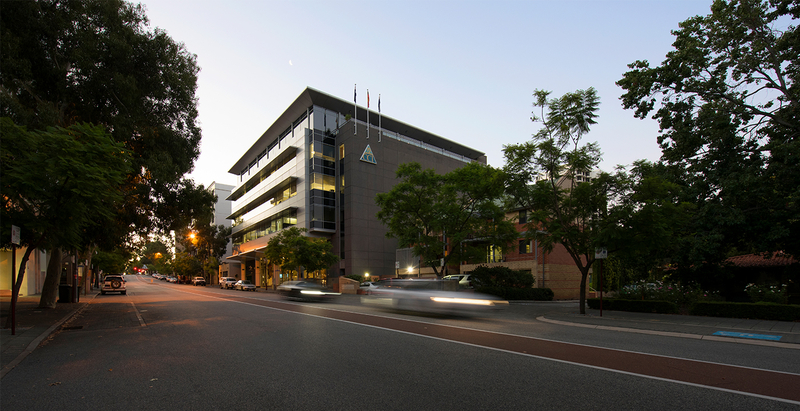 The new facility accommodates administrative, training and representative member functions and is designed to represent the importance of the peak employer representative body in Western Australia. 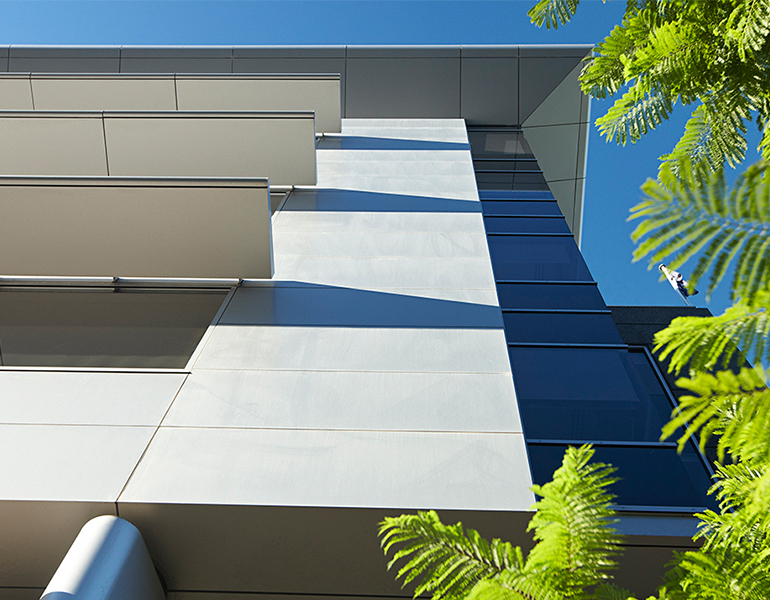 The overall impression of the building is one of horizontal and vertical forms in contrasting reflective and matt materials. In order to create legibility and express function, the building bulk is broken down into three cuboidal elements expressed in different materials. The top floor caters to the function and executive areas and is a feature of the building with windows extending to the soffit while the lower three floors accommodate administrative offices. 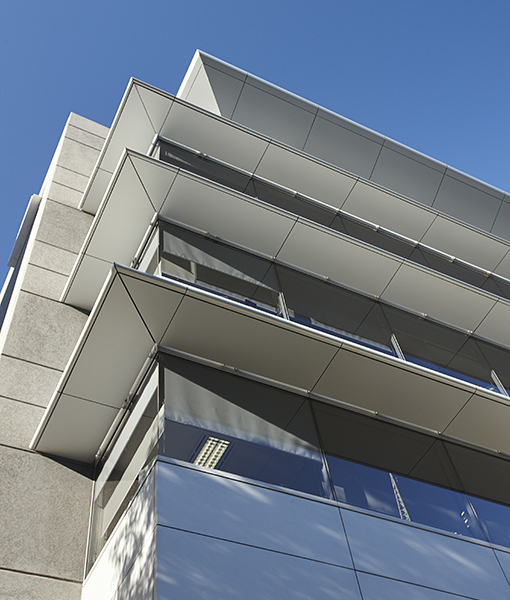 Acclaimed as the best commercial building of 2001, the Australian Institute of Architects’ jury was impressed by Parry and Rosenthal Architects’ dedication to excellence in design and managerial skills, complimenting the light and airy finishes and the use of colour to distinguish levels and organisations. 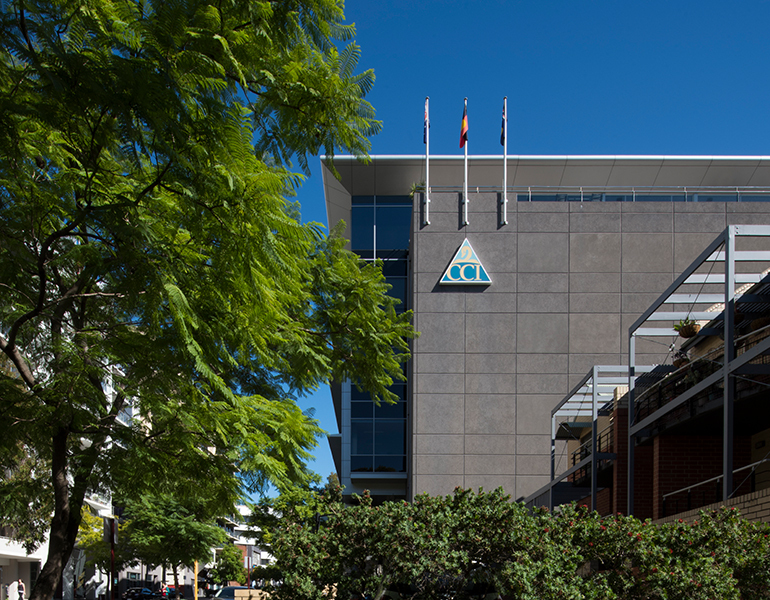 It remains a landmark building in East Perth and makes a significant contribution to the character of this city precinct.